Foundational knowledge of woodturning requires hours of practice to cement ! 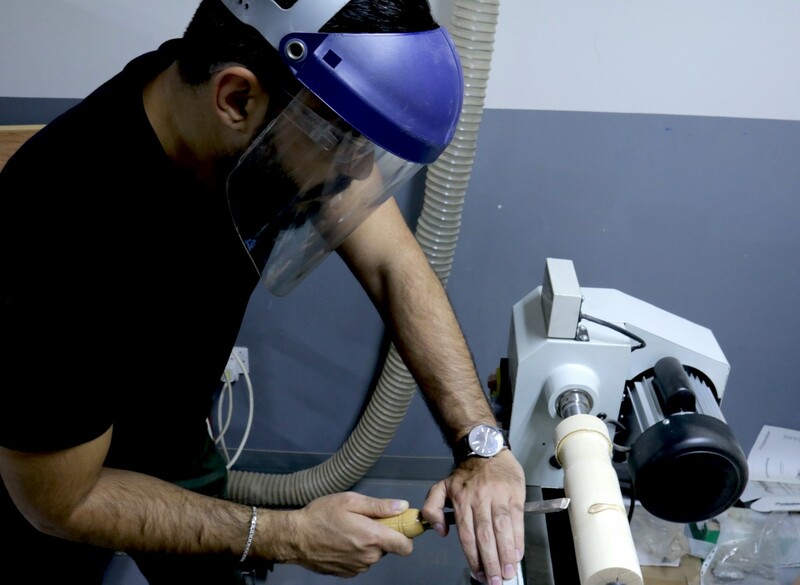 In this Safety and Basic Use (SBU) Class, you will learn the principles and practices of woodturning on the Holzstar 1100 lathe. Both spindle turning and faceplate turning techniques will be demonstrated, furthermore, the safe use and care of wood turning tools will also be discussed. In addition to the wood lathe machine, other machines from the wood shop will be used to prepare the wood for turning. This Safety and Basic Use (SBU) class is a prerequisite for the equipment and machines to be used independently in TechShop! Contact the Front Desk 02 558 8624 for more information or sign up directly by booking a seat below. Meet 5 minutes before the class starts at Front Desk. Your instructor will meet you there to start the class. Changes and mistakes are not excluded. TechShop reserves the right to cancel the class if there is insufficient number of participants. Please check your contact details in your personal account, so that we can contact you in case of any changes. Minimum age: 12 During class, all 12 -14 year-old students must be accompanied by a parent or guardian who is also enrolled in the class. When using the machines outside of class time, 12-14 year-old members must be accompanied and supervised by a parent or guardian who has passed the SBU. Closed-toed shoes are mandatory. Open-toe footwear of any kind is not permitted and unfortunately if this is not met, we will not allow access to the facility.